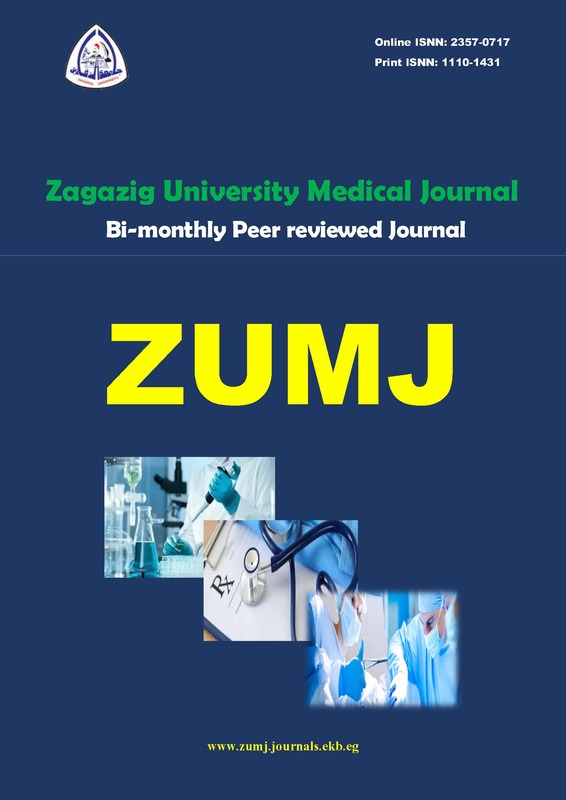 ZUMJ is an open access, international, bi-monthly, double-blinded peer-reviewed medical journal. It publishes original and high-quality research, case reports and reviews in all fields of clinical and basic medical sciences. The journal aims to provide and exchange the most recent and up-date medical knowledge all over the world. ZUMJ is the official publication of “Faculty of Medicine, Zagazig University, Egypt”; founded since 1977. ROLE OF MULTIDETECTOR COMPUTED TOMOGRAPHY IN BILIARY OBSTRUCTION. EFFECTS OF TAMOXIFEN AND AROMATASE INHIBITORS ON ENDOMETRIUM IN BREAST CANCER PATIENTS AT ZAGAZIG UNIVERSITY HOSPITALS. Prof. Ahmed Abo Hashem Azab.